•	Collect and customise some of the most iconic cars from the 60s, 70s, 80s and 90s! •	Lovingly restore your rides to their former glory in the Legends workshop. •	Use your roster of classic cars to take down a brand new single player campaign. 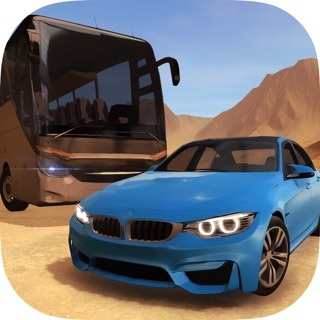 •	Go bumper-to-bumper with the hottest, contemporary cars in exhilarating, multiplayer action. Customise your car with a wide range of paint, rims, brake calipers and interior trims, just as you would in real life with a world-class car configurator. Choose from paint wraps, decals and custom license plates to personalise your ride. Car upgrades are only the start. You can now get under the bonnet to tune gear ratios, tire pressure, nitrous boost settings and much more. And when the competition gets ruthless, make sure you strip surplus cars for parts, and fuse them into your favourite motors. The legendary series is back with all the fan favourites and the Siberia track! If you missed the last series, now is your chance to take part in all the action to come. Full of challenges, Fast & Furious has an array of events with cars like the Veilside Honda S2000, the famous C-West Nissan Skyline GT-R (BNR34) and iconic Dodge Charger R/T. There’s a car for every racer! For more information on the event, head to our blog! Celebrate Easter with The Rocket Bunny Egg Hunt! Get far enough and you’ll be rewarded with the Mazda RX-7 Rocket Bunny in a turquoise colour just for your collection. You’ve asked, and we are going to deliver! With each update we hope to roll out fixes to the game that players have mentioned. In this update, we’ll be rolling out new ways to speed up timers in game over the next few weeks. With this, you can watch to skip the delivery of cars and parts. We’ve also made improvements to the load time in game, hopefully getting you to those races even quicker and adjusted the speed of the McLaren F1. Follow our blog and returning live stream to stay up to date with any changes in each update! For the first time in a video game, these cars are coming to CSR2! More cars for your collection! CSR knows how to supercharge a sequel. Drag-racing is as fun as ever—and you won’t believe how good it all looks. And now you can squash other players in Live Races, which is about as fun as it gets. The game is good and fun, but in live racing there are some paid cars which can’t be beaten your all normal cars so in other words you have to buy some cars and their parts to beat someone in live racing. A month ago the game developers cheated with their users including me, they stolen many cars fusion parts which was bought by real money and didn’t restore them when I asked to give my fusion parts back they are saying we aren’t able see any missing fusion parts. So be aware they wanted you to buy cars and parts with real money and then when they see that the game is now easy for some old users they started cheating with us so we should keep pay real money to buy car parts. I guess there is a problem with your servers cause live races keep not working. As I tap on live races, it says *looking for races* and not moving further. Please fix this soon.